Every once in a while, Filipino fastfood restaurants try to innovate on a usually predictable menu, but a fastfood kitchen isn’t as well-stocked or as well-equipped as Kitchen Stadium. Save for the fish dishes served during Lent, and the thousand and one ways to cook a burger patty, the kitchen crew make do with what they have. Like Spongebob Squarepants, during that episode when he was brainwashed by Squidward into thinking that all he knows is fine dining and breathing. Or, to be more… me, about it, follow the mathematical permutations of fastfood laboratory technicians who have made recipes out of sauce, hotdogs, chicken, burger meat, and the freeze-dried vegetables available in the kitchen. 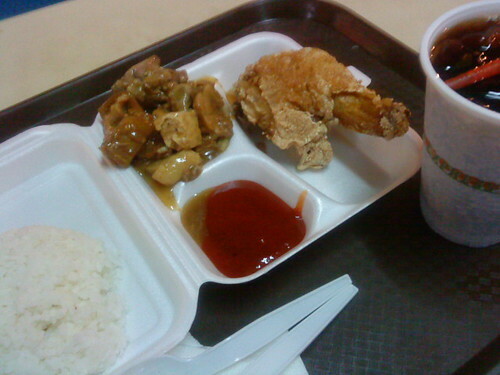 Enter: Jollibee Chicken Menudo: or Permutation Number #67124. In a word, disgusting. Life can’t be lived in terms of what inspires you in the Chicken Soup series. After all, a whole discussion over lunch can revolve around what makes a proper tinola. There’s really nothing to tinola except fresh ingredients and simmering (not boiling: that’s the easiest way to kill the flavor of any dish), but tinola is only as good as what you put in it. Over lunch today, there was an interesting debate on what should go into this veritable chicken soup. Papaya or sayote? Malunggay or sili? 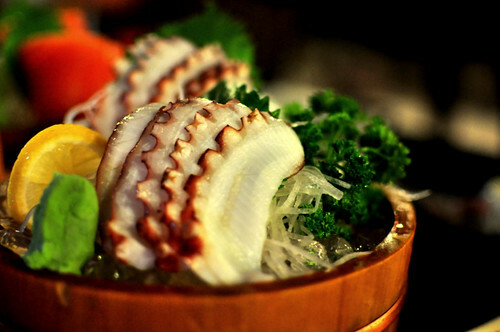 Like any recipe, you’ll find a great defense of what is combined into tinola, or what is omitted from it. 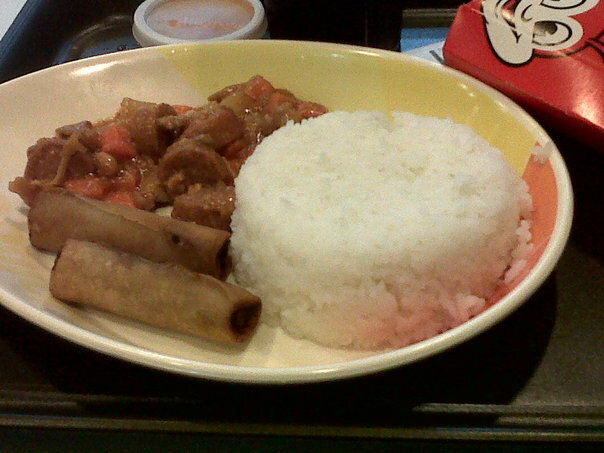 Cubao is a fantastic place for good eats, but there are no surprises in food courts. The better food courts are up in Gateway, but the food courts downstairs at Farmers’ Market are places I have not visited yet. 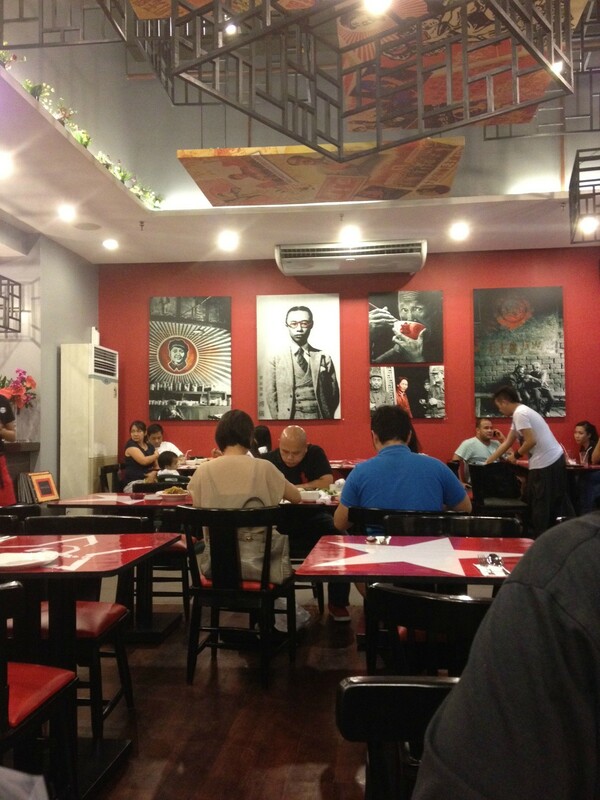 Needless to say, the picture above gives you a good idea of at least one meal that costs 81 pesos. Worst dinner ever? I’ve had gloop before – mostly in the form of cafeteria food and college canteen food – but Farmers’ Market gloop has to take the cake for perhaps the worst gloop I have ever had in months. For a place that apparently has something to do with Chinese cooking, the presence of ketchup was enough for me to consider just eating the food and not enjoying it one bit. Every chicken-eating culture in the world has a recipe for barbecued chicken, and every mall in the Philippines has an inasal restaurant. 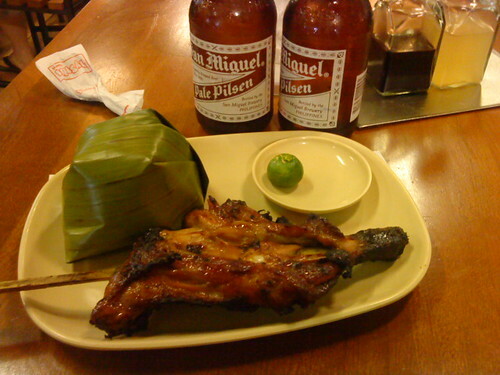 Chicken inasal is the Big Mac of Pinoy dishes; there’s no shortage of inasal in the Philippines that claim to offer a “taste of Bacolod.” The term “authentic” can be a selling point or a marketing strategy; all too often, though, it’s just a collection of words. Mang Inasal at SM Megamall is fairly easy to find, but like every restaurant that serves Filipino cuisine fast-food style, it’s a hit-and-miss. I was taught that inasal is a fairly simple yet flavorful combination of ingredients used to marinate barbecued chicken: calamansi, garlic, salt, sukang sasa, lemon grass, and annato oil. When this blend of ingredients are turned into a prepackaged mixture that makes life in the restaurant kitchen easier, you pretty much end up with a dish that tastes more like chicken tocino than authentic chicken inasal.